Widely applied as evaporator (heating element) in the vacuum metalizing (evaporation) process to coat thin film on surface of mirrors, kinescope, toys, home appliance, machine, metal and various decoration ,etc. 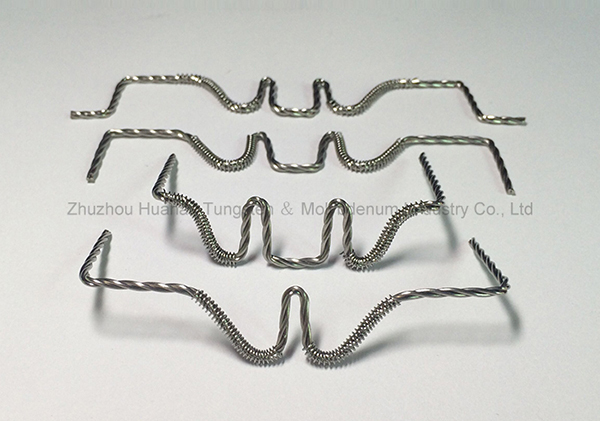 Features Tungsten stranded wire is made of selected high-quality material of tungsten, with the properties of excellent thermal conductivity, high melting point, good corrosion resistance, and long life. In addition, We can produce it according to your requirements or drawing! Welcome to inquire us by Phone or Email !